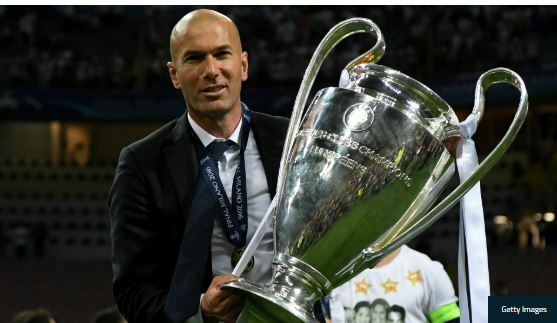 Former Real Madrid manager, Zinedine Zidane, has said he feels good after leaving the club. Zidane stepped down 11 days ago as coach of the LaLiga side, five days after winning a third consecutive Champions League title. “I’m taking a break and I don’t know what I’m going to do. The most important thing is the decision that I made; now we’ll see what happens after,” Zidane said at the inauguration event for an Adidas playground in Saint-Denis, near Paris on Monday. At the event, Zidane was joined by fellow World Cup winners Laurent Blanc, Youri Djorkaeff, Fabien Barthez, Christian Karembeu and Robert Pires, one day ahead of a charity match between the 1998 World Cup champions and a selection of international players to celebrate the 20th anniversary of the title.